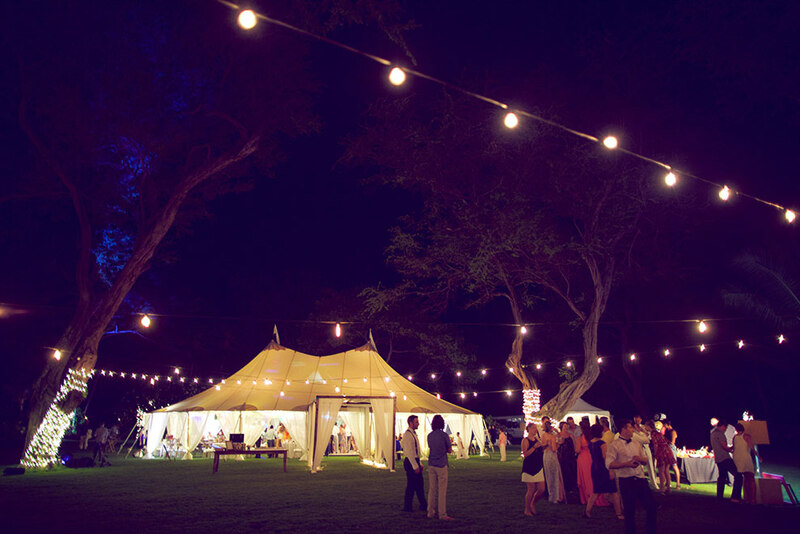 We’re excited to announce another new provider to our Sperry Tents family, this time on the island of Maui. Sperry Tents Hawaii is helmed by industry veteran and Hawaii resident Rodrigo Botta, who also owns Rio Event Design alongside wife and business partner Carolina Carabetti. Botta recently launched the sister company as a way to further enhance the luxury event offerings on his beautiful island. Botta was born in Rio de Janeiro, Brazil, and moved to New York City in 1999. Since then, he has worked with several prominent event designers like Preston Bailey, David Stark, and Frank Alexander NYC. He now resides in Hawaii with his wife, and in true Hawaiian spirit, enjoys waking up early to go surfing or stand-up paddleboarding before hitting the office. As an environmentally conscious individual, Botta strives to find ways to reduce his carbon footprint in both his personal and professional endeavors. Hawaii is a popular locale for destination weddings and the weather makes outdoor events possible year round. With the introduction of Sperry Tents to the Hawaii market, Botta is excited to make high-quality sailcloth tents more widely available to further elevate the local Maui event industry. For more information, visit the Sperry Tents Hawaii website or follow them on Facebook or Instagram. Special thanks to Anna Kim Photography for these lovely images (we will blog this wedding in full this summer). In the meantime, check out the full album of this Maui wedding on Anna Kim Photography’s Facebook page.